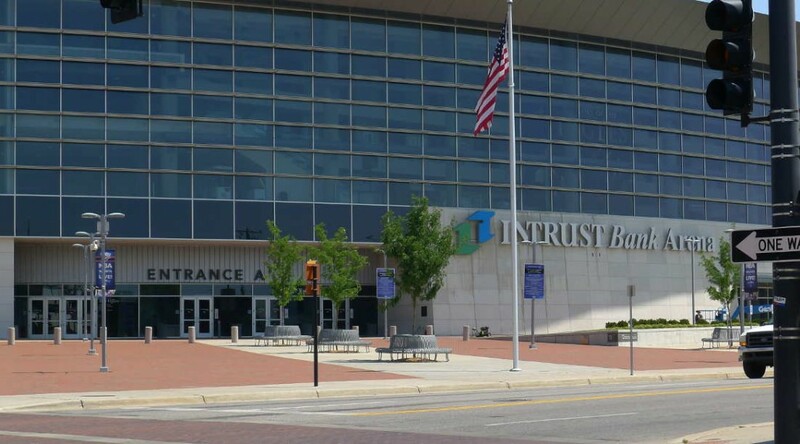 As in years past, a truthful accounting of the finances of Intrust Bank Arena in downtown Wichita shows a large loss. The true state of the finances of the Intrust Bank Arena in downtown Wichita are not often a subject of public discussion. Arena boosters cite a revenue-sharing arrangement between the county and the arena operator, referring to this as profit or loss. But this arrangement is not an accurate and complete accounting, and hides the true economics of the arena. What’s missing is depreciation expense. An example: In February 2015 the Wichita Eagle reported: “The arena’s net income for 2014 came in at $122,853, all of which will go to SMG, the company that operates the facility under contract with the county, Assistant County Manager Ron Holt said Wednesday.” A reading of the minutes for the February 11 meeting of the Sedgwick County Commission finds Holt mentioning depreciation expense not a single time. Neither did the Eagle article. 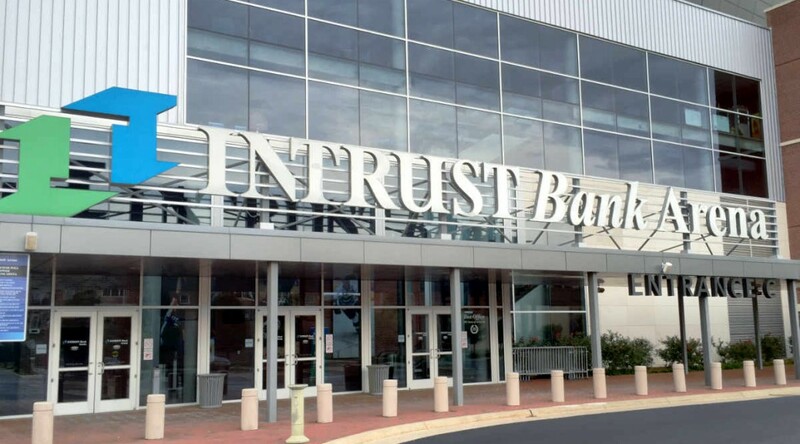 Even our city’s business press — which ought to know better — writes headlines like Intrust Bank Arena tops $1.1M in net income for 2015 without mentioning depreciation expense. All of these examples are deficient in an important way, and contribute confusion to the search for truthful accounting of the arena’s finances. As shown below, recognizing depreciation expense is vital to understanding profit or loss, and the “net income” referred to above doesn’t include this. In fact, the “net income” cited above isn’t anything that is recognized by standard accounting principles. That bears repeating: This is not a reckoning of profit and loss in any recognized sense. It is simply an agreement between Sedgwick County and SMG as to how SMG is to be paid, and how the county participates. The Arena Fund represents the activity of the INTRUST Bank Arena. The facility is operated by a private company; the County incurs expenses only for certain capital improvements or major repairs and depreciation, and receives as revenue only a share of profits earned by the operator, if any, and naming rights fees. The Arena Fund had an operating loss of $4.6 million. The loss can be attributed to $4.4 million in depreciation expense. Financial statements in the same document show that $4,434,035 was charged for depreciation in 2016, bringing accumulated depreciation to a total of $35,126,958. If we subtract SMG payment of $140,134 from depreciation expense, we learn that the Intrust Bank Arena lost $4,293,901 in 2016. Depreciation expense is not something that is paid out in cash. That is, Sedgwick County did not write a check for $4,434,035 to pay depreciation expense. Instead, depreciation accounting provides a way to recognize and account for the cost of long-lived assets over their lifespan. It provides a way to recognize opportunity costs, that is, what could be done with our resources if not spent on the arena. Earlier in this article we saw examples of the (then) Sedgwick County Assistant Manager, the Intrust Bank Arena manager, and several Wichita Eagle writers making the same mistake. The contention — witting or not — of all these people is that the capital investment of $183,625,241 (not including an operating and maintenance reserve) in the arena is merely a historical artifact, something that happened in the past, something that has no bearing today. There is no opportunity cost, according to this view. This attitude, however, disrespects the sacrifices of the people of Sedgwick County and its visitors to raise those funds. Since Kansas is one of the few states that adds sales tax to food, low-income households paid extra sales tax on their groceries to pay for the arena — an arena where they may not be able to afford tickets. Any honest accounting or reckoning of the performance of Intrust Bank Arena must take depreciation into account. While Unruh is correct that depreciation expense is not a cash expense that affects cash flow, it is an economic reality that can’t be ignored — except by politicians, apparently. The Wichita Eagle and Wichita Business Journal aid in promoting this deception. We see our governmental and civic leaders telling us that we must “run government like a business.” Without frank and realistic discussion of numbers like these and the economic facts they represent, we make decisions based on incomplete and false information. 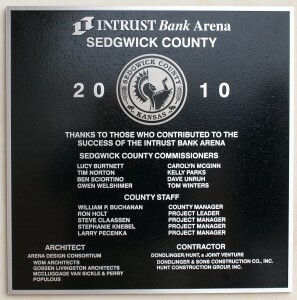 The depreciation expense of Intrust Bank Arena in downtown Wichita recognizes and accounts for the sacrifices of the people of Sedgwick County and its visitors to pay for the arena. There hasn’t been much talk of the arena’s finances this year. But in February 2015 the Wichita Eagle reported: “The arena’s net income for 2014 came in at $122,853, all of which will go to SMG, the company that operates the facility under contract with the county, Assistant County Manager Ron Holt said Wednesday.” A reading of the minutes for the February 11 meeting of the Sedgwick County Commission finds Holt mentioning depreciation expense not a single time. All of these examples are deficient in some way, and contribute only confusion to the search for truthful accounting of the arena’s finances. As shown below, recognizing depreciation expense is vital to understanding profit or loss, and the “net income” referred to above doesn’t include this. In fact, the “net income” cited above isn’t anything that is recognized by standard accounting principles. This agreement specifies a revenue sharing mechanism between the county and SMG. For 2105, the accounting method used in this agreement produced a profit of $1,150,206, to be split (not equally) between SMG and the county. The county’s share was $375,103. The Arena Fund represents the activity of the INTRUST Bank Arena. The facility is operated by a private company; the county incurs expenses only for certain capital improvements or major repairs and depreciation, and receives as revenue only a share of profits earned by the operator, if any, and naming rights fees. The Arena Fund had an operating loss of $4.1 million. The loss can be attributed to $4.4 million in depreciation expense. Financial statements in the same document show that $4,443,603 was charged for depreciation in 2015, bringing accumulated depreciation to a total of $30,791,307. Depreciation expense is not something that is paid out in cash. 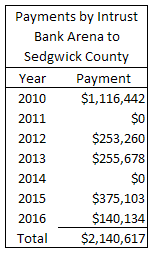 Sedgwick County didn’t write a check for $4,443,603 to pay depreciation expense. Instead, depreciation accounting provides a way to recognize and account for the cost of long-lived assets over their lifespan. It provides a way to recognize opportunity costs, that is, what could be done with our resources if not spent on the arena. Earlier in this article we saw examples of the Sedgwick County Assistant Manager, the Intrust Bank Arena manager, and several Wichita Eagle writers making the same mistake. Any honest accounting or reckoning of the performance of Intrust Bank Arena must take depreciation into account. While Unruh is correct that depreciation expense is not a cash expense that affects cash flow, it is an economic fact that can’t be ignored — except by politicians, apparently. The Wichita Eagle aids in promoting this deception. 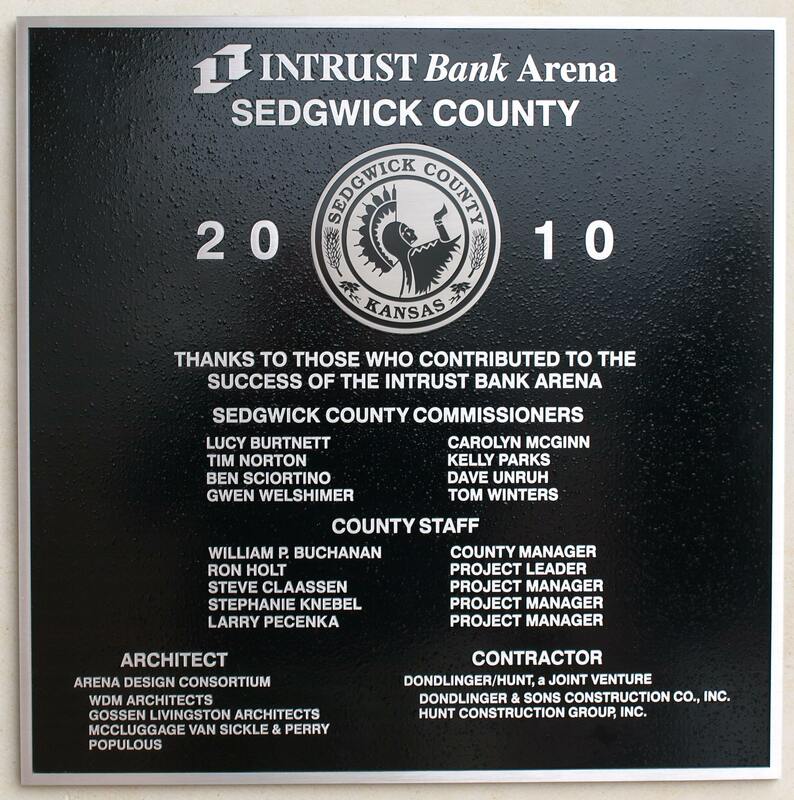 The depreciation expense of Intrust Bank Arena in downtown Wichita recognizes and accounts for the sacrifices of the people of Sedgwick County and its visitors to pay for the arena. But no one wants to talk about this. The true state of the finances of the Intrust Bank Arena in downtown Wichita are not often a subject of public discussion. Arena boosters promote a revenue-sharing arrangement between the county and the arena operator, referring to this as profit or loss. But this arrangement is not an accurate and complete accounting, and hides the true economics of the arena. What’s missing is depreciation expense. In February the Wichita Eagle reported: “The arena’s net income for 2014 came in at $122,853, all of which will go to SMG, the company that operates the facility under contract with the county, Assistant County Manager Ron Holt said Wednesday.” A reading of the minutes for the February 11 meeting of the Sedgwick County Commission finds Holt mentioning depreciation expense not a single time. Strike one. Last December, in a look at the first five years of the arena, its manager told the Wichita Eagle this: “‘We know from a financial standpoint, the building has been successful. Every year, it’s always been in the black, and there are a lot of buildings that don’t have that, so it’s a great achievement,’ said A.J. Boleski, the arena’s general manager.” Strike two. I didn’t notice the Eagle opinion page editorializing this year on the release of the arena’s profitability figures. 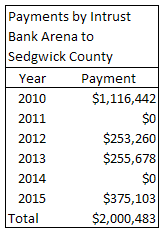 So here’s an example of incomplete editorializing from Rhonda Holman, who opined “Though great news for taxpayers, that oversize check for $255,678 presented to Sedgwick County last week reflected Intrust Bank Arena’s past, specifically the county’s share of 2013 profits.” (Earlier reporting on this topic in the Eagle in 2013 did not mention depreciation expense, either.) Strike three in the search for truthful accounting of the arena’s finances. There are at least two ways of looking at the finance of the arena. Most attention is given to the “profit” (or loss) earned by the arena for the county according to an operating and management agreement between the county and SMG, a company that operates the arena. For 2014, the arena’s profit was $122,853. All that goes to SMG, based on the revenue-sharing agreement. The Arena Fund represents the activity of the INTRUST Bank Arena. The facility is operated by a private company; the county incurs expenses only for certain capital improvements or major repairs and depreciation, and receives as revenue only a share of profits earned by the operator, if any, and naming rights fees. The Arena had an operating loss of $5.0 million. The loss can be attributed to $5.2 million in depreciation expense. Financial statements in the same document show that $5,157,424 was charged for depreciation in 2014, bringing accumulated depreciation to a total of $26,347,705. Depreciation expense is not something that is paid out in cash. Sedgwick County didn’t write a check for $5,157,424 to pay depreciation expense. Instead, depreciation accounting provides a way to recognize and account for the cost of long-lived assets over their lifespan. It provides a way to recognize opportunity costs, that is, what could be done with our resources if not spent on the arena. A few months ago in March, SMG, the company that is managing the Intrust Bank Arena (formerly known as the downtown Wichita arena) signed a lease with the Wichita Thunder Hockey team. Details of that lease weren’t made available to the public. Not to Sedgwick County Commissioners, either. So the public and even elected government officials don’t know anything about this contract, except for its term of five years. This strikes me as bad government. The county has a deal with SMG that gives the management company broad latitude in operating the arena, including some profit-and-loss responsibility. The arena, however, is still taxpayer-owned property. Furthermore, reading the management contract between SMG and Sedgwick County, I can see several ways in which SMG can wrangle free of its obligations. Believe me, the taxpayer is still on the hook. So I believe we need to know the details of this lease made to the arena’s signature tenant. I made my case, based on my reading of the contract, in my post Wichita downtown arena contract seems to require Sedgwick County approval. An inquiry sent to Assistant Sedgwick County Manager Ron Holt, the county’s point man for the arena, produced a response (see below) that indicates that the county has no intention of disclosing the terms of this lease agreement. Citizens must simply trust the county. Part of the problem is that the arena has a competitor in the private sector, the newly-opened Hartman Arena. SMG is justifiably concerned about its contracts with tenants, which it considers proprietary information. That’s fair enough — if SMG was a private company. But it’s one-half of a public-private partnership. It gets to use an asset valued at roughly $200 million, provided at no charge by the taxpayers of Sedgwick County, to see if it can earn a profit for itself. Our stake in this means we should get a look. The fact that SMG and the county will not disclose means that citizens will always wonder about the details of the deal. Without disclosure, there will always be questions. It would be in the best public relations interest of SMG to agree for public disclosure of the terms of the Wichita Thunder lease. Bob Weeks Inquiry The Thunder – SMG Lease May, 2009 Issue # 1: Since SMG has committed to a contract/lease agreement with the Thunder in which there is a major revenue stream for the facility and with terms greater than one year, does the County have to approve the Thunder contract/lease agreement? Response: No, the County does not have to approve the Thunder contract/lease agreement because it is in the sole discretion of the Contract Administrator whether or not to approve the agreement, and even then such approval cannot be unreasonably withheld. It is important to understand that there are two types of contracts covered by section 2.3 (c) of the agreement—contracts that involve paying money out (Section 2.3 (c) i), and contracts involving a revenue stream for SMG (Section 2.3 (c) ii). Contracts that involve paying money out, such as a contract to provide security for the facility, must be approved in writing by the County if it involves a term beyond the management term of SMG. As will be discussed later, this approval can be a simple letter from the Contract Administrator and such approval cannot be unreasonably withheld. The Thunder agreement involves a revenue stream and Section 2.3 (c) ii provides that “SMG and the County will have joint approval rights (which approval right shall be at each party’s sole discretion, not to be unreasonably withheld) for all major revenue streams that can impact the profitability of any Facility …with terms of greater than one year.” Section 2.1 (d) provides that “to the extent that the approval of the County is required under the terms of this Agreement, the written approval of the Contract Administrator shall constitute the approval of the County,” Under the definitions in Section 1, the “Contract Administrator” is defined as – the senior administrative official of the County as from time to time appointed by the County Manager, or such individual person as may from time to time be authorized in writing by such administrative official to act fro him/her with respect to any or all matters pertaining to this Agreement. So to address the first issue, it is in the discretion of the Contract Administrator whether or not to approve the agreement with the Thunder. This approval could take many forms and could be established by policies within the County Manager’s Office. While the initial review of the Thunder contract/lease agreement was limited to a discussion between the Contract Administrator and the SMG’s General Manager, subsequently a more thorough review by the Contract Administrator and an Assistant County Counselor with the SMG General Manager revealed the following notable provisions of the agreement: 1.) The term of the agreement is for 10 ½ years with provisions to terminate in the event of default by either party. 2.) There is a provision for a base rental that we agree is standard in the market with accelerators for future years based upon established indicators. 3.) There are other provisions in the agreement for revenue to be derived by SMG to cover staffing costs and other maintenance considerations. 4.) There is appropriate insurance coverage to protect the operator of the facility. After such subsequent review it is our opinion that the agreement provides adequate protection for the County for the entire term of the agreement and there is no reasonable basis for exercising our discretion to disapprove the agreement. For future contracts/lease agreements that fall under the conditions of the SMG Agreement as identified above, the Contract Administrator will meet with the SMG General Manager of the INTRUST Bank Arena and review any agreement in order to understand the terms and conditions of the agreement and how this might affect the County’s interest. Issue # 2: How can Sedgwick County give its approval to a contract/lease agreement that SMG will not let the county see (wouldn’t approval in a meaningful way mean that the commissioners and the public can read the contract/lease agreement)? Response: Obviously the County can’t give meaningful approval to a contract that we can’t see, but our agreement with SMG specifically allows us to review any agreement in order to understand the terms and conditions of the agreement and how this might affect the County’s interest. See Section 2.6 (a) (i) which provides:. (i) To the extent that SMG has any confidential or proprietary information that it reasonably believes is a privileged trade secret and/or should not be disclosed to a third party to protect the privileged, confidential and/or proprietary nature of such information, and upon the approval of the Contract Administrator, which shall not be unreasonably withheld, SMG shall not be required hereunder to deliver such information to the County, but instead, will afford the County an opportunity to review such information at the Facility during reasonable business hours and upon reasonable advance notice, or on terms mutually agreed upon by the parties in order to protect the privileged, confidential and/or proprietary nature of such information. As mentioned above, we have had the opportunity to review this agreement with SMG in a meeting with the General Manager of the Intrust Bank Arena. In our negotiations with SMG, we intended to give SMG significant authority to run the business of the new arena as they deem necessary as a means for them to sign off on an agreement that puts the risk of losses solely on them. The only reason we wanted the authority to review/approve long term agreements was for the purpose of making sure that SMG wasn’t putting the County in a bad financial position for years that they might not be operating the arena. While initially this is a five year agreement, we have provisions in the agreement that will automatically extend the agreement for an additional five years if they meet certain performance criteria. In other words, there is no reason at this point in our business dealings to think that SMG is operating in anything but the best interest of SMG and the County and such there would be little reason to formally approve the Thunder agreement – let alone have a reasonable basis to withhold approval. With Hartman Arena and Sprint Center (non SMG operated facilities) as competitors in this market, it is of high importance to SMG of keeping their proprietary information from being disclosed publicly. In addition, the County’s financial interest is protected with a provision in the agreement requiring SMG to maintain a system of bookkeeping adequate for its operations and for the use of our auditors. SMG is furthermore required to give the County’s authorized representative access to such books and records. The County has the right at any time, and from time to time, to audit and/or cause nationally recognized independent auditors to audit all the books of SMG relating to the operating revenues and operating expenses of the arena. Today was the ribbon cutting ceremony for Hartman Arena in Park City, just north of Wichita. This privately-owned arena should provide some competition to the Intrust Bank Arena in downtown Wichita. Note the wind turbine to the right (north) of the building. See Government vs. Private Investment and the Downtown Wichita Arena. Education’s Ground Zero (Nicholas D. Kristof in The New York Times) Describes the efforts of Washington D.C. public schools chancellor Michelle Rhee to reform the system. She’s fired one-third of the principals. Kristof reminds us of the importance of teachers: “The reform camp is driven partly by research suggesting that great teachers are far more important to student learning than class size, school resources or anything else. One study suggests that if black kids could get teachers from the profession’s most effective quartile for four years in a row, the achievement gap would disappear.” In Wichita, however, USD 259 is taking the opposite approach. Intrust Bank Arena management contract unusual, but not necessarily bad (Bill Wilson in the Wichita Eagle) Explores the nature of the arrangement between Sedgwick County and SMG as compared to other arenas. 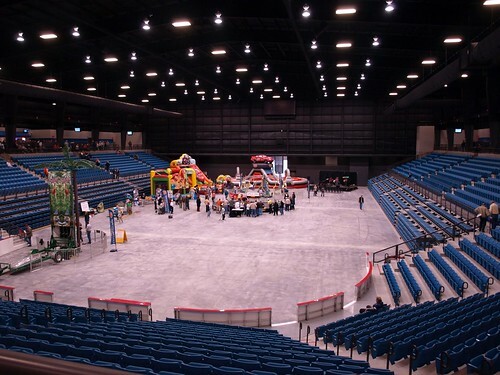 “The bottom line for these officials: Sedgwick County has a good deal with SMG, but has a responsibility to closely monitor the arena’s performance for taxpayers who paid for the building with a sales tax increase.” More coverage of related issues is Wichita downtown arena contract seems to require Sedgwick County approval. Details of Intrust Bank Arena contract with Thunder are a secret (Bill Wilson in the Wichita Eagle) This is an earlier story, interesting for the confusion it raises or exposes, I’m not sure which. Reported in the story: “The arena’s financial performance would be monitored by the county through what [Sedgwick County assistant manager Ron] Holt characterized as limited records access. But [Sedgwick County Commissioner Gwen] Welshimer said she didn’t know how the county would track the arena’s financial performance. ‘We don’t have any access to their books that I know of,’ she said.” Read the county’s contract with SMG, however, and you learn that SMG will maintain accounting records, have them audited, and give Sedgwick County access to them “upon reasonable advance notice.” Also, the county has the right to audit the records at any time. Why state smoking ban seems inevitable Rhonda Holman in the Wichita Eagle Editorial Blog) In this post, Wichita Eagle editorialist Rhonda Holman makes explicit the connection between state-paid health care and the state’s interest in controlling behavior: “That’s [passing the statewide smoking ban] the only responsible action the Legislature can take, given the increasing cost burden of smoking-related illnesses on the state …” If the state (that includes the U.S. Federal government) starts taking responsibility for more health care, smoking bans are just the start of state meddling in behavior. Minnesota Guys ready to start face-lifts of downtown Wichita buildings (Bill Wilson in Wichita Eagle) Real Development starts work on the improvement of facades of some of its buildings. In the article developer Michael Elzufon manages to use the word “iconic” twice. This article doesn’t tell how these improvements are paid for: a confusing arrangement where the city loans money and recoups it in special assessment taxes. A hefty development fee is being paid to the developers, which allows them to profit for fixing up their own buildings. But they’ll pay that back in the form of the special taxes — or will they? It’s hard to tell where the money is going in these agreements. This benefits developers like Elzufon and politicians on the Wichita city council, as if citizens knew what was really going on, they wouldn’t be happy. A Wichita businessman proposes building an arena that, while not as large as the downtown Wichita arena being built by Sedgwick County, would provide some competition to the government-owned arena. The absurdity in Commissioner Unruh’s statement is eye-catching and revealing of his arrogance. He says, and I believe I am accurate in my interpretation, that free enterprise is good, unless it happens to provide a challenge to a government project! Wichita and Kansas need private investment. When government officials make remarks like these, it a wonder that anyone would choose to invest here. Yet, people do invest here, and the results show the failures of government projects and government-subsidized partnerships. Consider, for example, the government-subsidized Waterwalk vs. the privately developed Waterfront. Consider that the government-owned Kansas Coliseum is not yet 30 years old, but, by most accounts, not suitable for continued use. It’s even worse when government is investing in projects of dubious value to the community at large, but is requiring everyone to pay for it. It is telling that in an article about the downtown arena, The Wichita Eagle looks to Greater Wichita Area Sports Commission president and chief executive Bob Hanson for a reaction. It tells how the downtown arena is a gift to special interests, Mr. Hanson being an especially vocal member of this special interest group that will benefit from a taxpayer-supplied arena. On Saturday February 5, 2005 I attended the meeting of the local legislative delegation regarding the arena tax. Representative Tom Sawyer chaired the meeting. The audience wrote questions on notecards, and Representative Brenda Landwehr read them. To the best of my recollection, the people allowed to answer questions were Sedgwick County Commissioner Tom Winters, Sedgwick County Assistant County Manager Ron Holt, Sedgwick County Director of Finance Chris Chronis, Wichita Mayor Carlos Mayans, and Wichita Downtown Development Corporation President Ed Wolverton. All of these are arena supporters. No one with an opposing view was allowed to speak, except for near the end when Kansas Taxpayers Network Executive Director Karl Peterjohn spoke from the audience for a moment. The news that was made during this event was that it was totally scripted by arena supporters, and except for Mr. Peterjohn’s brief remarks from the audience, there was no balance. I created a handout for the legislators. A link to it is here.